QUESTION: RE: ….& Coming Barter System. So, are you suggesting that we may see a shift to Silver by private individuals as the only way to sidestep Government stupidity, or will it be even worse, like trading whiskey for toilet paper?? ANSWER: Assuming government attempts to follow the IMF’s advice and create cryptocurrencies to replace paper money, then the only alternative will be the barter system. To make this clear, the likelihood of the USA following this route is a last resort. It will NOT be the first, but the last. We will see this in Europe before we will ever see it in the USA. This cannot be a question that is answered based upon OPINION, for we all have one. The only rational way to approach that question is to look at history and see how people responded to similar but not identical positions. What comes to mind is Japan. Each new emperor devalued the money in circulation and issued his own coins worth 10x that of the coins of the previous emperor. This resulted in people refusing to accept coins because if the emperor died, they were suddenly devalued. People resorted to bags of rice and they used the coins of China. Everyone refused to use Japanese coins. 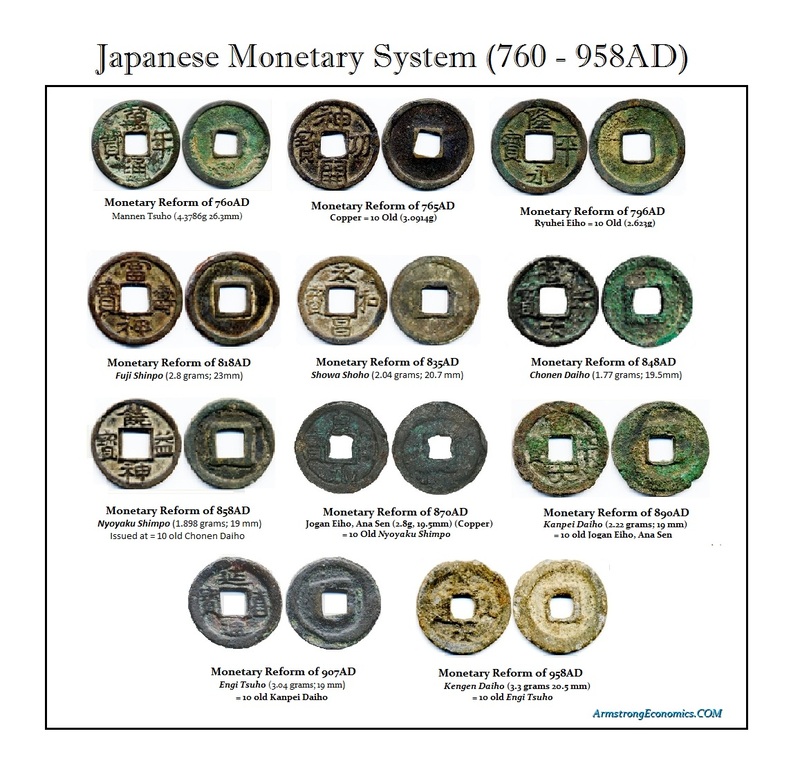 The result was that Japan LOST the right to issue coins at all for 600 years. Moving to a cryptocurrency to stop the underground economy from using paper money will simply switch it to foreign currency (dollars in Europe) or something commodity based. In federal prisons, when they banned smoking back in 2004, packs of the fisk called mackerel became the prison currency. Everyone operated an internal economy. They used cigarettes as their currency of choice to purchase anything from food and home-brewed prison hooch. They also used books of stamps. Prisoners could ship books of stamps out and they could resell them at a discount. Mackerel became the small change at about $1 a pack. There are fully developed economies within prisons. Someone skilled at drawing would make cards for holidays, while others were good at a trades like tailoring to fix your clothing. Others would take a scarf and turn it into a warm knitted hat. Once you eliminate the freedom that paper money provides, the government may believe it will get 100% of every tax it ever dreamed of but the underground economy will flip to barter. 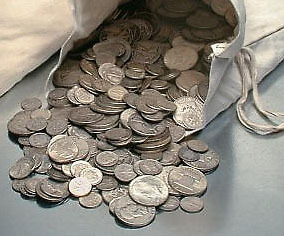 As far as silver is concerned, I would prefer silver coins that are recognizable to the average person. Offering bars of silver would be at a discount, for it will require knowledge and testing. Even the clerk fresh out of school working at Starbucks would know that a quarter dated before 1965 is worth a lot more. Likewise, gold should be in coin form. That will reduce the skepticism about accepting it in trade.